I once had a double-feature with this movie and The Happiness of the Katakuris. It was epic, I tell you. 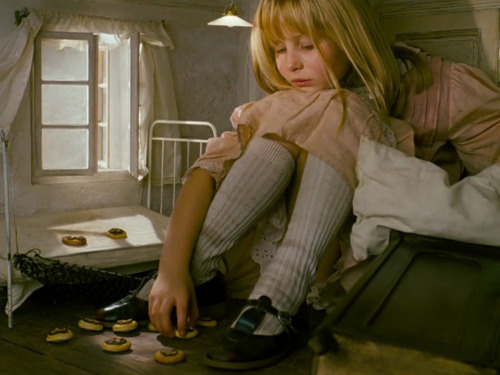 As some held their breath in eager anticipation to see what director Tim Burton (Batman, Ed Wood) would do to Lewis Carroll’s much-celebrated—and oft times committed to celluloid—classic novel, I recalled an earlier adaptation: Jan Svankmajer’s Alice (aka Neco z Alenky) (1988). If you are like me and hated the Burton incarnation then maybe you should check this one out. I am a huge fan of Lewis Carroll’s work and both Alice’s Adventures in Wonderland (1865) and Through the Looking Glass and What Alice Found There (1872) and am always excited to see another artist’s take on the strange tale. The earliest film adaptation I’ve seen was Cecil Hepworth’s Alice in Wonderland which was made in 1903. It’s a charming short film with some interesting effects. The most famous version is probably Walt Disney’s 1951 animated classic. The Disney cartoon is full of wonderful colors and imaginative surprises and deserves its slot next to Pinocchio (1940), Dumbo (1941), Lady and the Tramp (1955), and Sleeping Beauty (1959) as some of Disney’s finest animated achievements (those are my personal favorites anyway). Lewis Carroll’s book has been filmed so many times and has employed the aid of such talents as Peter Sellers, W. C. Fields, Kate Beckinsale, Gene Wilder, Johnny Depp, and even once scored by Ravi Shankar, but perhaps the most innovative and fascinating take on this treasured story is from the soil and pipe-filled mind of surreal Czech animator, Jan Svankmajer (Faust, Conspirators of Pleasure, Little Otik, and Lunacy). As a fan and follower of Mr. Svankmajer and a great admirer of his aforementioned features and short subject works (The Ossuary, Dimensions of Dialogue, Down to the Cellar, Et Cetera, etc. 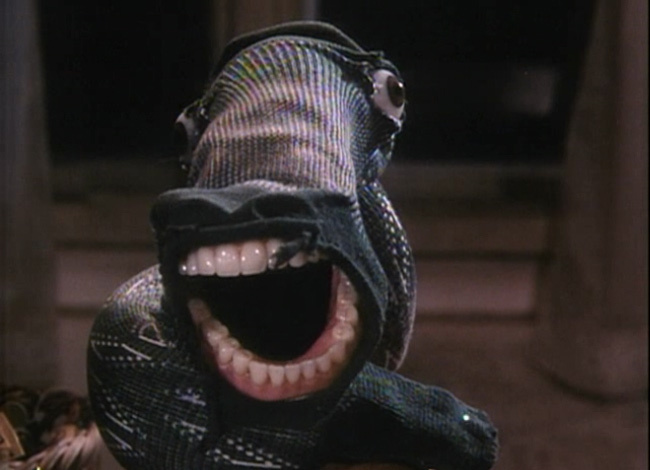 ), I can honestly say that Alice (1988) is my favorite of his. Despite the stylistic liberties the jarring and idiosyncratic director takes, Svankmajer stays surprisingly true to the spirit and the plot (or plotlessness) of Carroll’s book—it does lack the poetry and clever wordplay, but Svankmajer employs his own unique brand of humor and wit. Those of you familiar with the story of Alice and her adventures will recall it all began when Alice followed a little white rabbit down a tunnel where she became suddenly immersed in a world of nonsense. 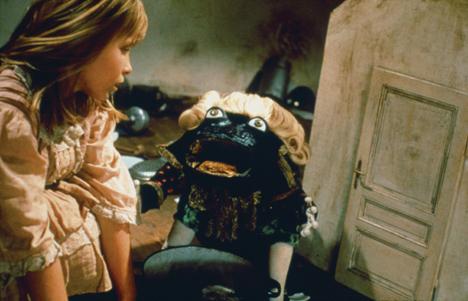 By combining live action (mostly the part of Alice played by Kristyna Kohoutova) and brain-bending stop-motion, Svankmajer fashions a dark, near-nightmarish world fashioned from earth, termite-ridden wood, peeling paint, drafty basements, sawdust, animal skeletons, rotting meat and vegetables (all his favorite obsessions). 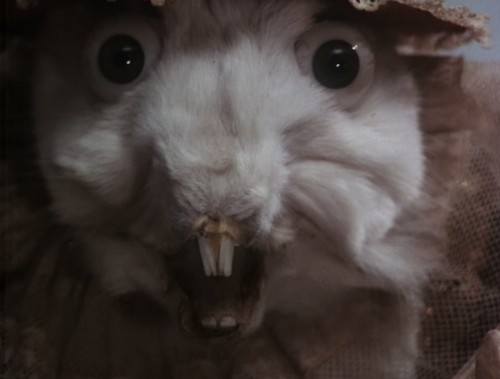 The White Rabbit is a taxidermy beast with bug-eyes, a velvet hat and coat, and a huge rip in his chest that bleeds wood chips and sawdust (so he fastens himself shut with a safety pin, licks clean his pocket watch, and scurries off hastily). Alice pursues the White Rabbit across a barren field of plowed dirt where she crawls into a writing desk and emerges in a dank, winding basement. She tumbles through the floor, takes a dark, ramshackle elevator passing skulls and jars of preserved foods. Alice grows big and small in a tiny, dirty room while she sobs about not being able to get into the beautiful garden on the other side of the door. Alice is harassed by an army of animals sculpted from the mismatched bones and bits of strange creatures, crockery, and other taxidermy critters. She frequently becomes a toy doll during the course of her journey as well. Alice enters a room full of tube socks burrowing through the wooden floors whilst she converses with a denture-wearing “Caterpillar.” She participates in a hallucinatory tea party with the wind-up March Hare and wooden, obsessive-compulsive Mad Hatter. She accepts the Fish Footman’s invitation and is placed on trial before the Queen of Hearts where a most nonsensical proceeding follows. 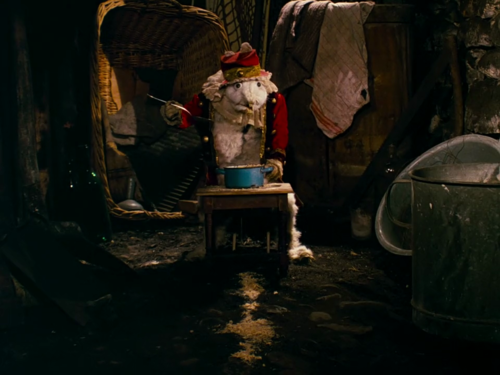 Svankmajer does little to alter the story, but his visuals are not exactly inspired by Sir John Tenniel. The oneiric atmosphere is startling and disturbing. It’s a film you can almost taste and feel underneath your fingernails. Watching Alice is like watching a tapeworm choke out a mouse dressed as the pope, it’s disgusting but at the same time immensely unique and sort of funny. Svankmajer is a master of textures (and none of them smooth or soft). He likes the dirt and pine needles strewn about the floor and the coming of the maggots when the meat turns rancid. These are fascinating subjects that he explores in many of his works. 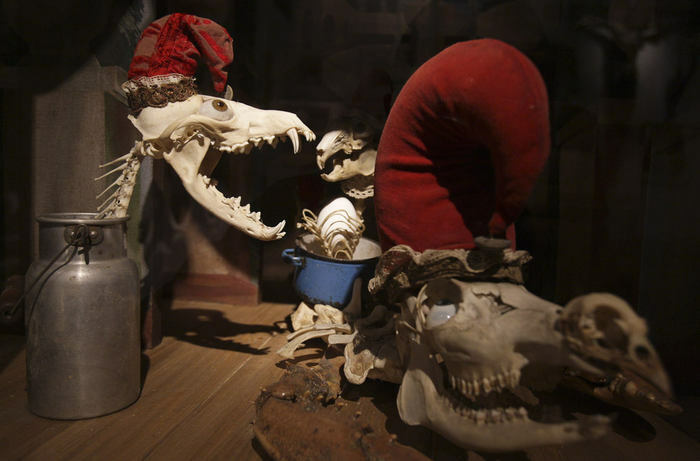 Svankmajer seems to like to give every minuscule object a history and past. Every nick in the chair, every bit of mold in the drain, every stain on the wall, or gnawed bit of turnip tells a story and makes the atmosphere alive and dense in an almost too vivid and unsettling way. He is a filmmaker you will either love or hate. His visuals are potent. His comedy is dark and strange. His sound effects are abrasive and tinny. And his take on Alice might be the most original. If you don’t like uncooked steaks scuttling across a shelf or for bread to sprout nails when you try to bite it or if the thought of a mouse pounding spikes into your head and building a fire in your hair bothers you, then perhaps this movie is not for you. If you don’t like the taste of sawdust, ink, or fruit jams filled with tacks then maybe you should watch something else. If dark, enclosed, cold spaces full of bony creatures lurking in the corners aren’t your cup of tea then I suggest you do something else with your time. HOWEVER, if you are bold and adventurous and willing to experience a different type of filmmaking then I hesitate not to recommend this brilliantly bent masterpiece of the surreal. 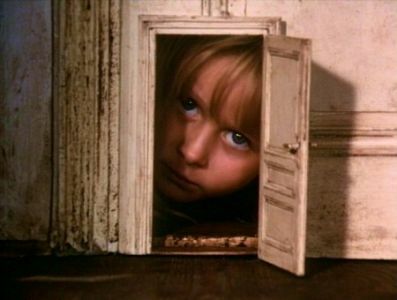 For tickets to live in the wet and warped mind of Jan Svankmajer for an hour and a half, find a copy of Alice (1988). You’ll never forget where he takes you. Consider yourself warned. Now go with my blessing. And for godsakes, skip the Burton one. Originally published for “The Alternative Chronicle” February 16, 2010. This entry was posted in Foreign, Oddities and tagged 1988, alice, alice in wonderland, animals, bizarre, cinema, clay, czech, fantasy, Film, foreign, jan svankmajer, lewis carroll, movie, queen of hearts, rabbit hole, stop motion, surreal, through the looking glass, tim burton, weird, white rabbit. Bookmark the permalink.